2017-6-1 : What’s Up in the Sky in June 2017? Any night in June, why not meet at midnight at Cattle Point DARK Sky Star Park, for a planet party, when you’ll be able to see both Saturn and Jupiter in the sky at the same time? The best time to try will be a few hours after Saturn rises at sunset, and before Jupiter sets. Jupiter sets at 3 a.m. at the beginning of June and 1 a.m. by the end of the month. Saturn reaches opposition on June 15, when Saturn, Earth and the sun are all in a straight line, with Earth in the middle. Opposition provides the best and closest views of Saturn and several of its brightest moons. If you just see one, that’s Titan. Titan is 50% larger than our own moon. It orbits Saturn about every 16 Earth days. Our moon takes 27.3 days to orbit Earth. Titan is where man is planning one of three “search for life” NASA/ESA missions. Through a telescope you’ll be able to compare the cloud band rings on both Saturn and Jupiter. Saturn’s cloud bands are fainter than the bands of Jupiter. On Saturn, you’ll see delicate shades of cream and butterscotch, while Jupiter’s bands are shades of white, rust and ochre. A telescope will also show Saturn’s rings tilted toward Earth about as wide as they get: 26.6 degrees. The sunlight reflecting off the ring particles makes the rings look even brighter. You’ll also have a ring-side view of the “Cassini division”, discovered in 1675 by Giovanni Domenico Cassini, namesake of NASA’s Cassini spacecraft. The spacecraft has been orbiting Saturn since 2004. Cassini is on a trajectory that will eventually plunge into Saturn’s atmosphere and will end Cassini’s mission in 3 months time, on September 15, 2017. Through binoculars, Jupiter’s four Galilean moons—Io, Europa, Ganymede and Callisto—are easy to see. June is the month of the summer solstice on Wednesday June the 21st . This is also National Aboriginal Day in Canada where there is a tradition of greeting the rising Sun around 5:00 am. In Oak Bay the best spot is at Cattle Point. These two photographs show the solstice in 2015. The 2015 summer solstice sun is rising quite far north over Lopez Island at the back of San Juan Island, both in the USA to our North East. 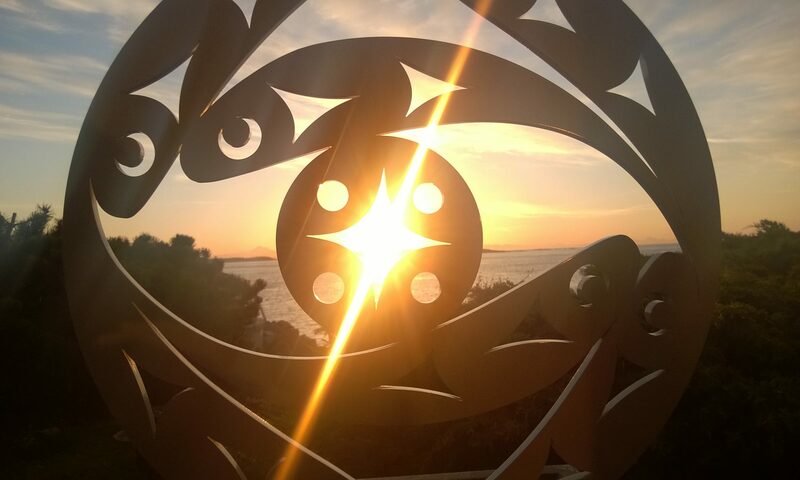 Here are views from the Oak Bay Beach Hotel and from the Oak Bay Marina. We encourage Oak Bay residents to get up early and better these images from 5:00 am June 21, 2015. Last year it was too cloudy. Jupiter is the stand-out object in the night sky and might be mistaken for the International Space Station (ISS), being so bright above Port Angeles around 10:30 pm (PST). As most months. ISS does pass over Oak Bay and as with most pass-overs, the ISS appears in the west from the Sooke Hills and passes directly over Mount Tolmie – a perfect place to take the grandkids in pyjamas and in the car, on a June evening . Watch in wonder as the ISS passes above heading towards Bellingham like a very bright silent Airbus. Get the date and times off the Cattle Point Star Park website. If you are lucky you just might also see the mysterious Aurora TR-3B as my spouse and I did. It seems to like practising over the USA submarine testing range towards Seattle. Yes it IS a UFO to most people. But no, it is not alien. Article was originally written for Jun 1 2017 Oak Bay News. Next PostNext 2017-7-1 : What’s Up in the Sky in July 2017? 2018-9-1 : What’s Up in the Night Sky in September 2018? 2018-6-1 : What’s Up in the Night Sky in June 2018? 2018-5-1 : What’s Up in the Night Sky in May 2018? 2018-4-1 : What’s Up in the Sky in April 2018?